Delight yourself with a divine intervention. Visualize vibrant victory with the creative intelligence of Emilio Pucci™! Patent leather upper. Almond shaped toe. 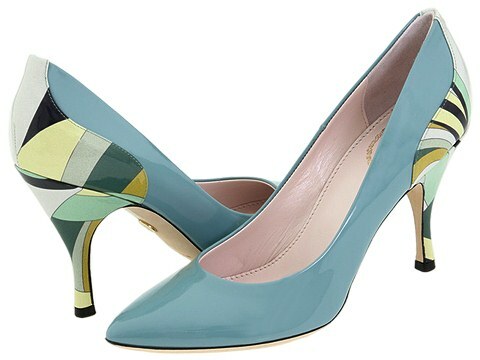 Exciting Emilio Pucci print back quarter and heel. Leather lining. Leather sole. 3 1/2 heel. 7.00 oz. Made in Italy. Free shipping in the USA.